The HP ProBook 600 Series offers the performance features, tested reliability, and support for legacy IT that you rely on for optimum productivity. An 8th Gen quad-core Intel® Core™ processor3 (ProBook 640/650) or AMD Ryzen™ PRO processor4(ProBook 645) provides exceptional power and performance. Empower your team with the HP ProBook 650. 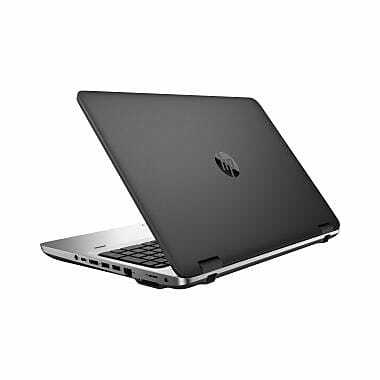 This powerful machine is HP’s most configurable and cost effective notebook PC available. With a large 15.6″ diagonal display, the HP ProBook 650 combines long-term stability with modern security for today’s business. Does your organization have a lot of legacy applications and workloads? No sweat. You can rest easy knowing they can be integrated with this notebook laptop. Not only that, but legacy feature support in the ProBook 650 helps you get the most out of your existing IT investments—a definite win. The HP ProBook 650 is powered by the latest 6th Gen Intel® Core™ processors, which means you’ll get all the computing power you need. It includes a spill-resistant HP Premium Keyboard, so you can worry a bit less about that next cup of coffee that goes awry. 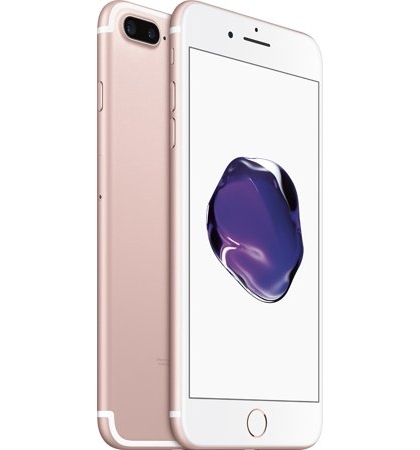 Additionally, it offers options for storage, because you can choose from a solid state flash drive or a conventional hard disk drive. While the HP ProBook 650 is a business notebook, you’re still entitled to great sound, whether for work-related webinars or for music while you concentrate on your day-to-day tasks. With DTS Studio Sound™, you enjoy an enhanced audio experience. And if you travel often and regularly use your notebook in public places, you’ll definitely want the improved, but simple, security you get when you select the optional fingerprint reader. You probably have the need to frequently create and review presentations and graphics. Well, you will love the optional enhanced graphics card which gives you a superior visual experience. 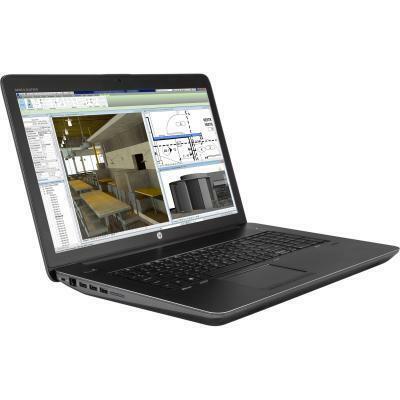 The HP ProBook 650 is built to be user-friendly. You can interact naturally with your notebook laptop when you select an optional touch screen for tablet-like functionality. Ask Cortana on Windows 10 Pro to find you the resources and answers that you need, whether you’re looking for an application on your ProBook or the answer to a business question out there on the web. Are your co-workers elsewhere around the country or perhaps on the other side of the globe? With the ProBook 650, that’s not a problem. You can enjoy executive-class collaboration on this machine. The optional webcam and built-in-microphone allow you collaborate clearly and effectively. You can also add Skype for Business and HP Noise Reduction Software to further enhance collaboration. The HP ProBook 650 delivers a full-featured experience when you customize it with a variety of valuable options. You can choose from a variety of powerful processors, an array of memory options and a number of professional-grade peripheral devices. You can select the HP Pro Display that best meets your needs and a docking station for when you’re at your desk. This notebook laptop has connectivity built in. You’ll stay connected with less interference using built-in wireless support and optional Bluetooth® technology. You can even enable your HP ProBook 650 with cellular technology when you include HP Mobile Broadband, or make sure you know where you’re going with GPS Mobile Broadband Service (available from either AT&T or Verizon). When it comes to security, you can have peace of mind with your HP ProBook 650. The HP Client Security suite allows you to protect your data by encrypting your hard drive. You can delete old data you no longer need so not a trace remains. You are further protected with HP BIOSphere, the company’s industry-leading firmware ecosystem. By creating BIOS-level passwords, you’re granted an added level of security. Also, you can be prepared to recover your system, if necessary, by selecting the optional Windows 10 Pro Operating System Recovery DVD. When you buy your HP ProBook 650, you can select either a one-year or three-year limited warranty. You also get free shipping on all your orders, both ways, so if you need to send something back, that’s free, too. In addition to all this, you can be assured that you will get the best price. If you find a lower price on another online store, we will match it. With its Windows 10 Pro, ease-of-use, collaboration and security, the HP ProBook 650 is your best choice for business productivity.